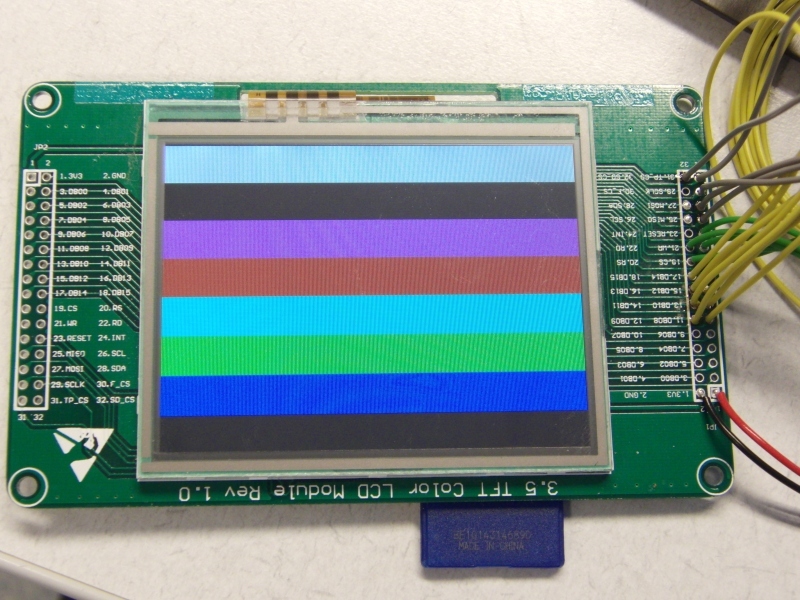 On ebay i found this very nice and cheap tft display .It contains a tft color screen with 320×240 pixels, touch-controller and Sd card reader. 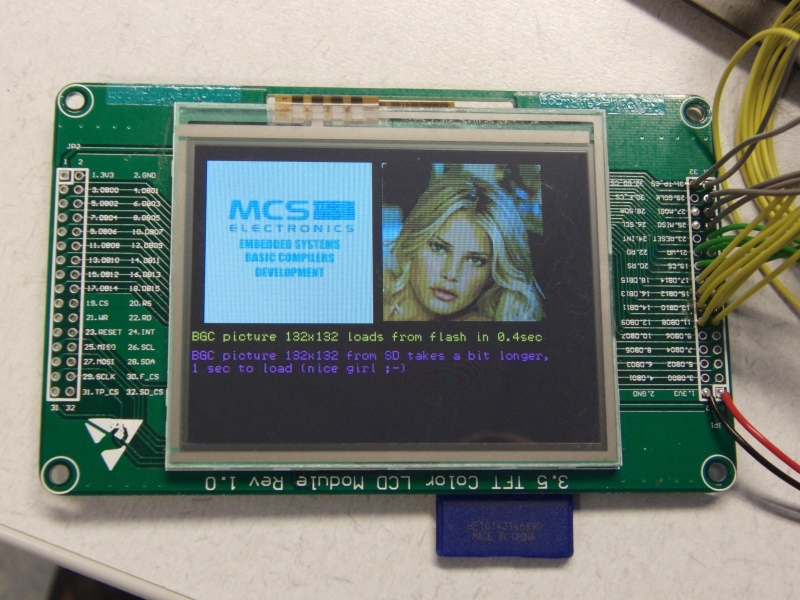 The display controller used is the SSD2119 and for the touch controller they used ADS7843. – 320x240x16bits needs enormous amount of data and cpu power to get something on the screen, don’t expect live video @25fps. Take a look at the video to get an idea of the performance. – To get the display compatible with the Bascom 8bit BGC (Bascom Grapichs Color) files, the 8bits color are up-scaled to 16bits. Therefore the colors are maybe not always correct, you can adjust this in the look-up table. – The size of the BGC are limited to 255×255 pixels. – The 24bit colors of the BMP files are downscaled to 16bits by simply dropping the LSB. 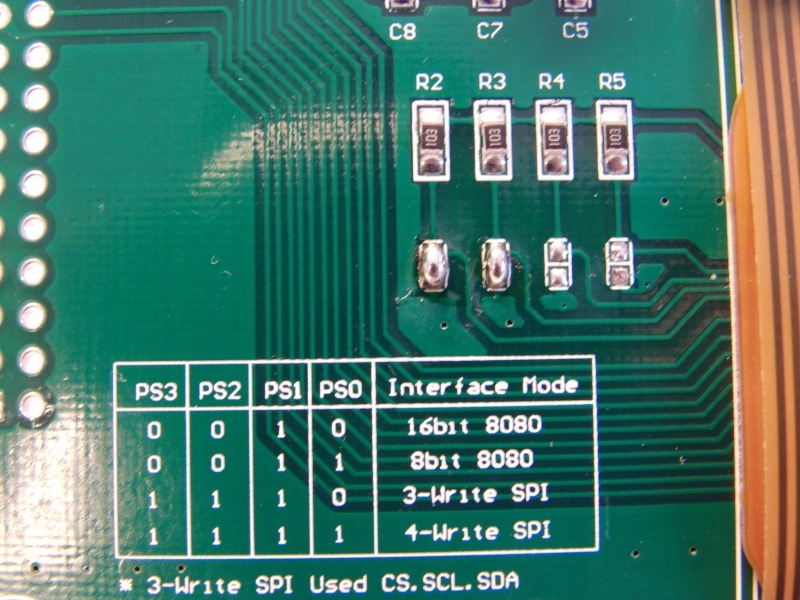 – Jumpers setting of the display board are a bit strange, make the soldering connection is a logic 0 and removing the solder is a logic 1. – The touch controller needs Polarity =low and Phase =0 for the spi communication, the Sd cards needs Polarity =high and Phase =1. To overcome this problem in the readtouch function’s the Polarity and Phase are changed at the beginning of the function and changed back at the end. 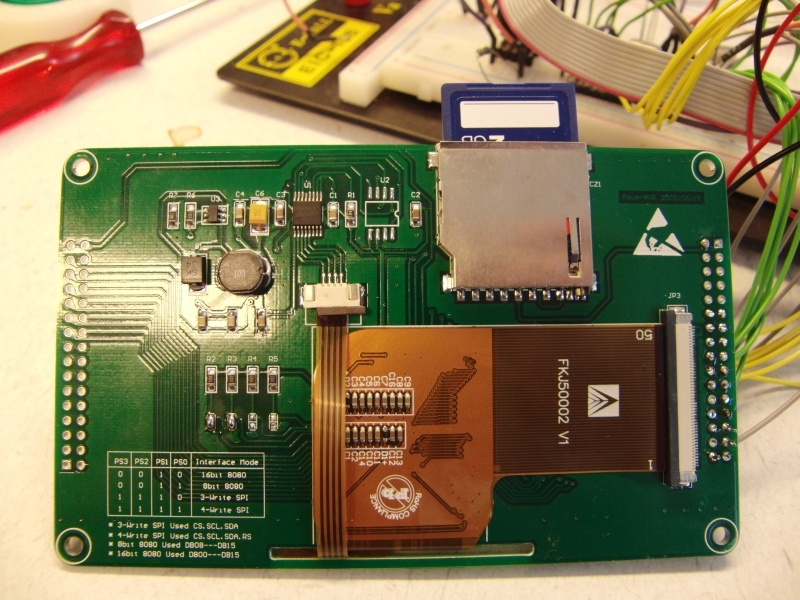 – Display works on 3.3V so use a level converter or an AVR that can run on 3.3V. – Add the Spiin = 255 option to the Config Spi line in Config_mmc.bas if your using the touch and sd-reader, else it won’t work. These are the name’s that you gave to the font, NOT the file-name if you don’t know the font name, open the font file in the font editor, and there it is, right on top. This will show Windows 24bpp BMP from the sd card. The 24bpp colors are downscaled to 16bpp. This will show Bascom BGC (Bascom Graphics Color) file from the sd-card. The 8bpp colors are up-scaled to 16bpp with the help of a look-up table. In this table you can adjust the colors if necessary. This will show Bascom BGC (Bascom Graphics Color) file from the flash memory. The 8bpp colors are up-scaled to 16bpp with the help of a look-up table. In this table you can adjust the colors if necessary. Set the ram address (cursor) to the specified position. Convert 8bpp color to 16bpp color. Reads the X coordinates from the touchscreen. Reads the Y coordinates from the touchscreen.